Environmental News Network - How Much Energy Can You Store in a Rubber Band? How Much Energy Can You Store in a Rubber Band? How much energy can you store in a rubber band? Obviously, the answer depends on the size of the rubber band. I'm talking about, of course, the energy density or specific energy of an energy storage material. The energy density is defined as the energy per unit volume, and the specific energy is the energy stored per unit mass. I recently wrote about energy density of gasoline vs. batteries when they're used to power cars. But, you know, theoretically, you could power a car with anything—including rubber bands. How do you determine the energy density in one of those? Let me start with a simple rubber band that I will stretch. 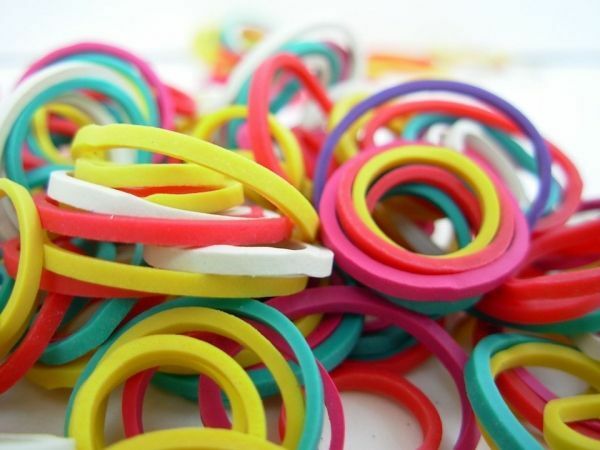 The cool thing about rubber bands it that they are mostly like an ideal spring—but not exactly. Both springs and rubber bands have a special property: It takes more force to stretch them the farther you pull. Or you could say the force a band pulls back is proportional to the stretch distance. This proportionality constant is called the spring constant and is represented by the symbol k (in units of N/m). The energy stored in a spring depends on both the distance that it is stretched and the spring constant with the following relationship.